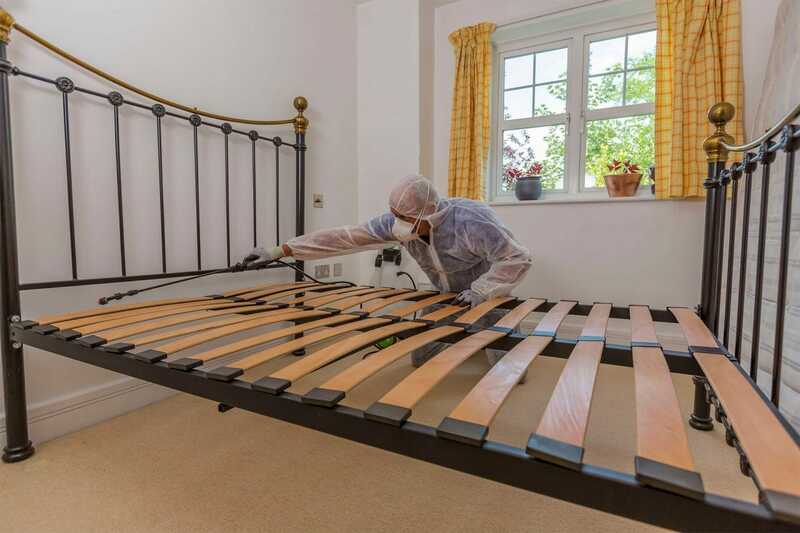 We’ll eradicate the bed bugs at your property – guaranteed! 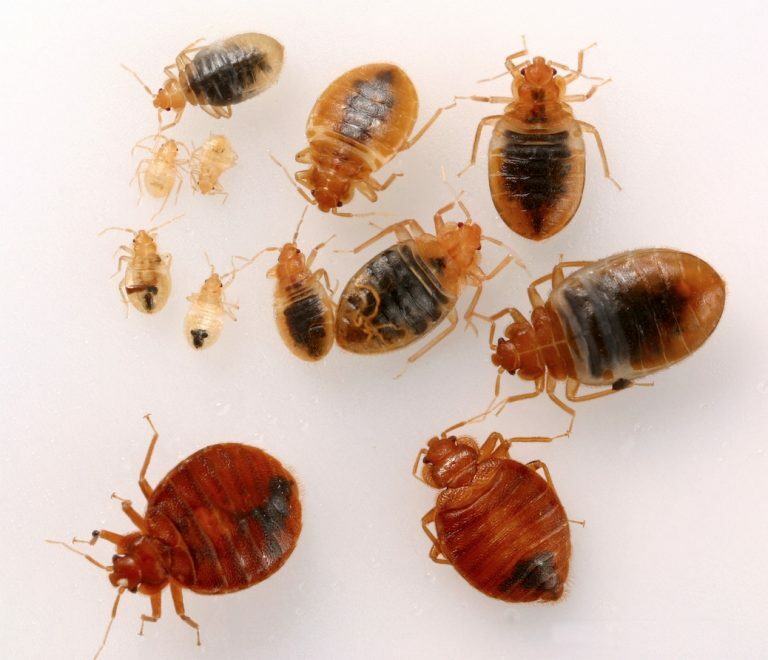 We understand how distressing it can be to find you have bed bugs at your property. Call Aspect and we’ll arrange for a specialist pest controller to arrive as quickly as possible. They carry both chemical and heat treatment equipment in their vehicles. It’s important to begin a thorough treatment process as soon as bed bugs have been found. Once they’ve been disturbed bed bugs will move from their hiding place and settle elsewhere. This could result in the problem multiplying in other parts of your property. 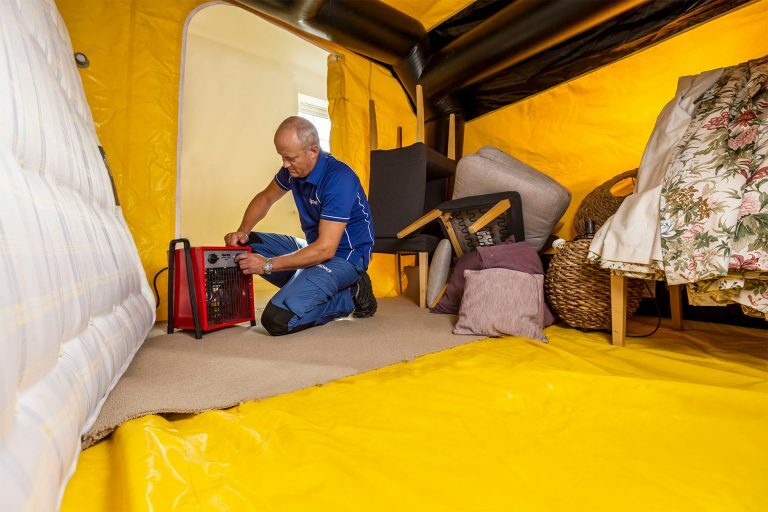 Once our pest controller has arrived and assessed the extent of the bed bug problem you have they’ll discuss the recommended treatment options with you. They’ll begin working to eradicate the bed bugs straightaway. Our pest controllers are so thorough with the eradication techniques they use that we guarantee to resolve your problem. If your bed bug problem persists within 6-months of the treatment process our pest controller will return free of charge and continue further treatment until it’s completely resolved. The heat treatment we carry out is extremely effective at killing bed bugs. Mattresses, bed frames, furniture and linen can be put inside the contained environment (a large PVC tent) that will be set up inside your property. Electric heaters placed inside the sealed environment gradually increase the temperature. The bed bugs can’t escape from the heat increase that kills them. Even if you decide to use heat treatment to eradicate bed bugs a chemical spray will still be needed to treat anything that can’t be placed in the contained environment. Carpets, skirting boards, and fitted wardrobes will all need treating. Fabrics, such as clothes and towels will not need to be treated, but they will need to be washed on at least a 40-degree wash cycle. The chemical spray used is approved for use in residential and properties. You will not need to leave your property whilst either of our bed bug treatment processes is taking place. If you are nervous about the use of chemical products in your property we advise avoiding skin contact with the residue left on treated areas and objects. If any residue does come into contact with you skin it should be washed off with water. Bed bugs are small, brown oval-shaped insects that live by biting mammals, including humans, and feeding on their blood. A bed bug’s abdomen will swell during feeding so it appears much larger in size. Bed bugs don’t have wings and can’t fly. However, they can move quickly over surfaces including floors, walls and ceilings. Although bed bugs are a definite nuisance, and the bites they leave on human skin can irritate, bed bugs do not transmit any diseases to humans. A female bed bug that has a food source, and a room temperature of around 18c, will lay 2 or 3 eggs every week. The eggs are about 1mm long and are laid in small crevices where they won’t be disturbed. They take approximately 3-weeks to hatch. A newly hatched bed bug will reach adulthood in 3 to 4-months, when they will start breeding and begin laying their own eggs. If the temperature they live in is warmer the growth and reproduction rate will be faster. An adult female bed bug can lay up to 250 eggs in her lifetime. Bed bugs will not disappear without treatment. Their numbers will gradually increase, the problem will get worse and they will spread to other areas. They can live for up to 2-years without feeding in cool conditions. The bigger the problem or infestation then the more complex and lengthy the treatment procedure could be.